Our promise to you is to give you first class patient treatment with first class patient care. Our team of dental health professionals are experienced, dedicated, and compassionate. We know the importance of dental health, especially to our overall health. This is why we want to do our best to make sure our patients are healthy, happy and above all smiling! 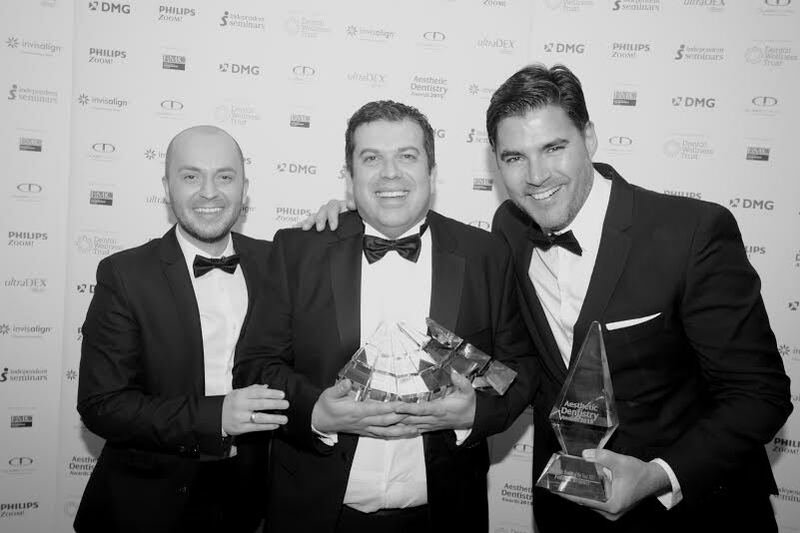 All of our staff members from our dental administrators front of house to our highly qualified dental surgeons are experienced as well as fully trained or qualified. Not only do we provide excellent customer service but we also can ensure you the best patient care. We offer the most advanced treatment options as well as the latest in modern dentistry and techniques. At the Brighton Implant Clinic our facilities, experience, and expertise mean that we are skilled in the latest as well as best techniques in dental implant treatment. We do a range of different procedures such as *all - on - four*, *teeth- in a day*, *zygomatic implants* and more. Find out more about our *dental implant treatment*. When it comes to any treatment or procedure we believe that our focus should be patient - focused. We understand patient’s fears, phobias, and respect patient preferences. This means that you have full control and autonomy throughout your whole treatment with us - the way that it should be. We know that dental anxiety is very real, and the physical and mental effects of anxiety can be crippling, even preventing you from going to the dentist altogether. If these feelings are preventing you from having or seeking treatment our specially trained dentists could offer you a sedation therapy also known as ‘sleep’ dentistry. Find out more. More on teeth - in - a -day... This dental implant technique means that you can have dental implants and a new smile in just one day. After the dental implants are placed, impressions are taken and a provisional crown or bridge is then made that day. Dental implants take 4 - 6 months to heal, and this is why a type of provisional crown, can be ‘immediately loaded’. 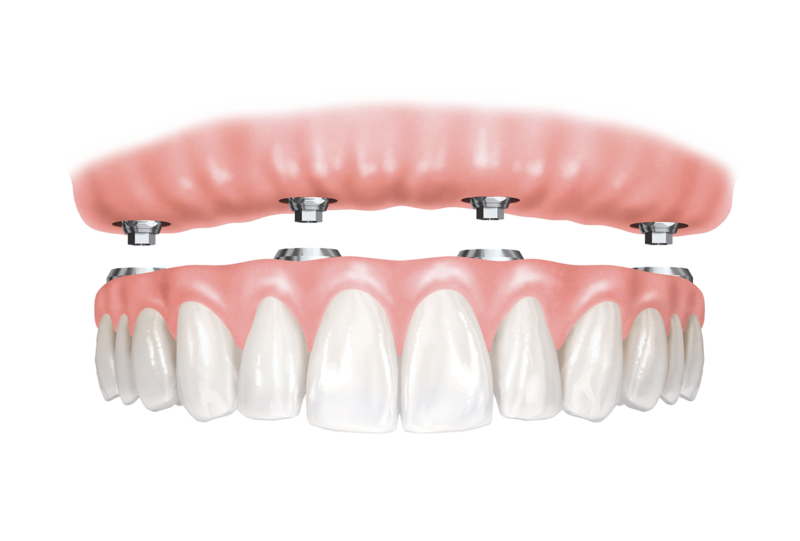 The provisional crown or bridge still looks and feels like real teeth, but the final prosthodontics will be made from better materials and will have advanced aesthetic results. The design of your smile is catered to you and the things to consider are colour, shade, shape and position. With a 98% Success rate in dental implant treatment... Get in touch with us today to make an appointment with one of our hygienists or dentists . A broken tooth was replaced by a crown. The crown eventually fell out. My dentist has had two attempts at rrefixing it, the second time with a post. It still falls out. ! Looks as if the next move might be an implant, not confirmed yet. My dentists suggests cost in order of £1750. This is a helluva lot of money. You offer it for about jhalf as much. Am i being ripped off by my dentist, or are youi cutting corners, or do you have wonderful alternative methods ? Hi im looking at having a tooth inplant maybe 2 do they come with a life time guaranteed? . If a promblem accurs with the implants a few years down the line do you fully guarantee at the clinic to put things right ?. Only asking this question because on a recent tv documentary about cosmetic work on teeth a lot of dentists only rent out a roomand its not down to the clinic to put things right if the dentist leaves its down to the dentist ? . thanks for the message, apologies for the late reply. We do not provide dental implant treatment with a lifetime guarantee. Whilst implants are likely to last for a life time implants sometimes do fail. Let me explain…… there are generally 2 types of failures, an early implant failure that occurs within the first 12-18 months after the implant was completed and a late failure which occurs after 2 years. The dates are not exact but essentially an early failure is considered to be within the guarantee of the clinic and down to factors that should have been addressed and treated with the clinic. We assume responsibility for this and we do yes provide a guarantee for a full year after the treatment has been completed. Do you provide bone grafts if needed? I can’t find your address on this site, where in Holland Road are you. Many Thanks. Hi Jayne, sorry for the late reply, we are actually based in 12 Church road in Hove. If you need any further help please feel free to contact us. My wife and I both had full upper inplants all on four and all on six with your surgery at Hove over the last 2 years. We live in the north of England Sockport area and because of the travelling down eg 6 hours each way plus hotel etc we have not been able to have a check up to see if our implants are OK. Can you reccomend any other implant surgeon in and around the north west who might be able to do a routine check on the implants. Hope you can help and advise.